There are many different types of Angels as absolutely everything in creation is looked after by an Angel. The ones you will most often hear about are the Archangels and Guardian Angels. All of these Angels have different purposes and some specialize in certain areas but all of them are here to assist you on your souls mission. Within the category of angels, there are so many different types as to be impossible to name and discuss them all, doing and helping with different tasks. There is a misconception that the different types of angels are strictly Christian or non-pagan. However, the mythology of Angels existed long before Judaism and Christianity. We all have our "labels" for what fundamentally are the same things. Different types of angels feature in Buddhism and Hinduism, Celtic and Norse mythology and in many Shamanistic legends, although not everybody call these entities "angels", just like not everyone refer to a prayer as a mantra. The devas or celestial beings in Buddhism can be looked upon as an angel. 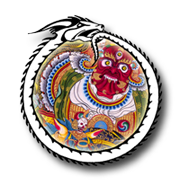 Some paths of Buddhism use the label dharmapalas or dharma protectors. In Buddhist iconography, they are invariably depicted as fearsome beings, often with many heads, hands or feet; blue, black or red skin; and a fierce expression with protruding fangs. Although dharmapalas have a terrifying appearance, they are all bodhisattvas or Buddha's - embodiments of compassion that act in a wrathful way for the sake of sentient beings. Eastern Asian Buddhism Mahayana is further typified by a pantheon of quasi-divine bodhisattvas, another type of angel, devoting themselves to personal excellence for the sake of rescuing others from suffering. The quest of the Bodhisattvas is for ultimate Buddhic knowledge so as to be able to affect the salvation of all humanity (and indeed all living beings, including animals, ghosts and gods). Hinduism has many different angels or spiritual beings who act in a similar capacity to angels. One example is the minor gods, or devas, from the word "deiwos", originally an adjective meaning "celestial" or "shining". Another type of "angel" found in Hinduism are an Apsaras; translations of the word "Apsaras" are "nymph," "celestial nymph," and "celestial maiden. The Valkyries in Norse mythology can in some ways be looked upon as a type of angel. In Norse mythology the valkyries (Old Norse Valkyrja "Choosers of the Slain") are disir, minor female deities, who served Odin. The valkyries' purpose was to choose the most heroic of those who had died in battle and to carry them off to Valhalla where they became einherjar. This was necessary because Odin needed warriors to fight at his side at the preordained battle at the end of the world, Ragnarok. 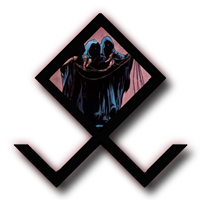 The norns, numerous female beings who rule the fates of the various races of Norse mythology (The Fates), another one of the types of angels, spin the threads of fate at the foot of Yggdrasil, the tree of the world. Beneath them is the Well of Urar (well of fate) with the two swans that have engendered all the swans in the world. There are many other norns who arrive when a person is born in order to determine his or her future. In Celtic mythology, the Faeries were often seen as the helpers of mankind. This type of angel too has many correlations to angels and their deeds. The lesser goddesses, one of the other types of angels, also acted as angels; and perhaps that's why they're often referred to as the lesser Goddesses for instance the goddess Sirona. Regardless of which types of angels or hierarchies you believe in, we can't help but acknowledge a new connection and interaction with the Angel Kingdoms. Angels are everywhere, just go take a look on the shelves of your local book store at all the different books on types of angels, angel contact, guardian angel and angel stories. So why not take some time to reach out to your personal guardian angel and your guides for guidance and assistance during your day. Perhaps you could also thank them for their efforts with lighting a candle in gratitude for their services, maybe even plant a nice tree or flowering bush in their honor, you may also wish to use the Angel Cards, a great way to show your appreciation. Not yet sure how to or comfortable working with the angels, in my course "Way of The Archangels" I will guide you as you learn about the archangels and how to work with them in your daily life.